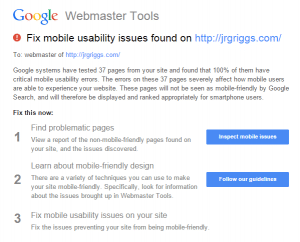 This is due to Google’s recent announcement that they are increasing the ranking factor for sites that are mobile-friendly. This is a pretty significant issue and if you are concerned about rankings, you should take this into consideration. 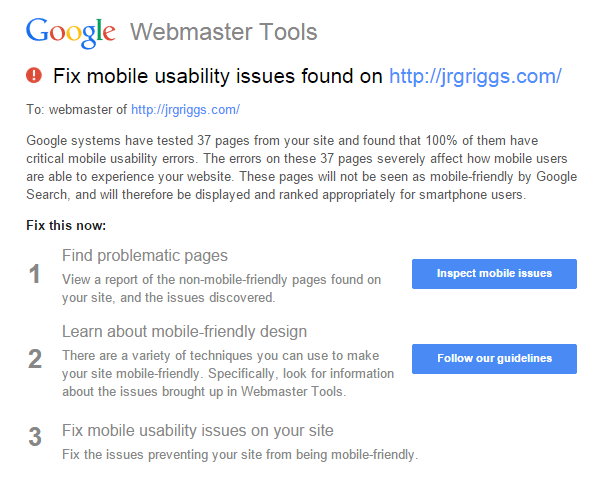 Basically, Google has added into their algorithm certain criteria that qualify your site as mobile-friendly or not. As of April 21st, this will have a significant effect on the ranking of your site for mobile searches. As far as how big of an impact this will have on your website depends on the industry you’re in and your competition. 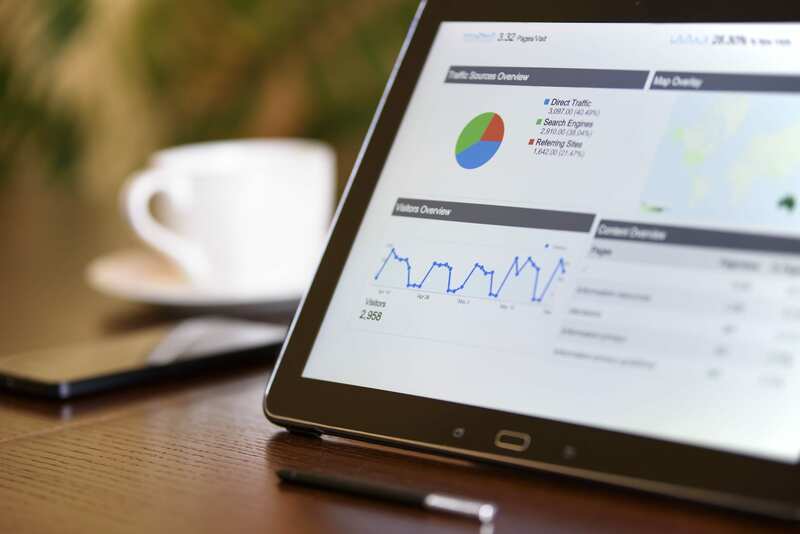 Since the change is on mobile searches, the amount of mobile search traffic in your industry will be a big factor in how much you are affected by the change. If your competition is not using mobile-friendly websites, you will probably not see any changes, as everyone is already in the same boat. These 2 factors are all you really need to determine whether you are in need of a new mobile-friendly responsive website right away, or if you can deal with getting one later on (but not too much later of course). So while it may not be a time to panic and rush out to get a new website immediately, it is a good time to add a new mobile-friendly site into your plans. If you have any questions about this change or need some guidance on how you should handle this news, feel free to contact us.